Bill Jacobs BMW of Naperville is proud to announce their sponsorship of the 3rd annual Cheers for Our Veterans wine tasting and dinner event on Wednesday, November 6th, 2013 from 6:00 pm - 9:30 pm at Cress Creek Country Club in Naperville. The Bill Jacobs Family is proud to be a part of this exciting night to support Naperville Responds. They do great work for the veterans in our community, and are an invaluable resource to those in need. Bill Jacobs BMW of Naperville is proud to announce their sponsorship of the 3rd annual Cheers for Our Veterans wine tasting and dinner event on Wednesday, November 6th, 2013 from 6:00 pm -9:30 pm at Cress Creek Country Club in Naperville. The night will feature local wine from Cooper's Hawk Winery, a variety of chef-prepared food stations to suit every palate, a silent auction, and live music. All are invited to enjoy this evening of entertainment, and raise a glass in celebration of the area’s local veterans, recognizing their dedication and sacrifice for our country. Individual tickets are $100 at the door, however early bird tickets are available for $80 until October 31st, and can be purchased online at http://www.nrfov.org/events.html. “The Bill Jacobs Family is proud to be a part of this exciting night to support Naperville Responds. They do great work for the veterans in our community, and are an invaluable resource to those in need,” said Greg Joutras, General Manager at Bill Jacobs BMW. All proceeds from the night benefit Naperville Responds for Our Veterans, a 501(c)3 non-profit organization that offers local help for area veterans as a community service. By collecting monetary donations, along with donations of building materials and professional labor, Naperville Responds For Our Veterans coordinates the process of repairing, building and donating homes for veterans in need. 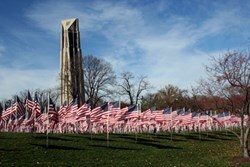 If you know veterans that need help with their homes in Naperville area, you can reach out to them at 630.276.7567 or visit http://www.napervilleresponds.org for more information. As one of the largest BMW dealerships in the Chicagoland area Bill Jacobs BMW is fully committed to creating a shopping experience for their customers that matches the luxury products they represent. In keeping with the Bill Jacobs tradition, they promise to provide a customer-friendly purchasing experience, as well as a responsive and reliable experience in their service department. With over 50 years in the automotive business, Bill Jacobs BMW is a name you can trust. For additional information, visit Bill Jacobs BMW at 2495 Aurora Avenue, Naperville, IL 60540 or by calling (630) 357-1200. Visit Bill Jacobs BMW online at http://www.billjacobsbmw.com.